Chapin Hill Advisors, Inc. is located in New York Metro area. The team offers consulting services to families, closely-held businesses, high net-worth individuals and not-for-profit organizations. Our primary clients are located in the Metro NY area (NYC, Westchester and Fairfield Counties) but we also have clients across the U.S. as well as Puerto Rico, Bermuda and other countries. Chapin Hill Advisors acts as a trusted advisor for our clients. We provide value-based advice tailored to each client’s personal situation. Our personal planning services are known as “life planning” as we base our planning and future scenarios on real-world experiences and situations. Our business consulting services take into account the how and why our clients got in to their business and their personal, family goals going forward. We assist our business clients in creating strategic plans to either build the business for a future sale or to pass it to the next generation. Trust is critical to each and every relationship. We maintain strict confidentiality regarding our clients’ financial situations and each team member is chosen for their integrity as well as abilities. As independent advisors, we value our ability to objectively choose the best strategies for each client. We think globally and offer strategic recommendations to help meet the client’s needs which may include multiple tax issues and jurisdictions as well as complicated future planning needs. We value each client and work to preserve their wealth as well as balance growth and stewardship for future generations. As trusted advisors, we assist clients in meeting their overall financial objectives using an integrated approach. Client participation and interaction is vital to defining values, implementing recommendations and assessing risk tolerance. We integrate both financial and psychological components in each client’s unique plan. We believe in the value of strategies, organization and communication. We strive to give clients quality service so we always know how to better serve them. We are vested in our client’s financial success. Our staff is an integral part of our ability to maintain a high level of client service and we believe in constant education. Each person on our staff serves a particular niche or role and we work as a team to deliver quality service. We focus on our client’s very personal objectives, background, goals, experience, preferences and integrate these into our analysis and recommendations. Our consulting services entail a process and we engage with most clients for a minimum of one-year. During that year, we will address and advise on retirement, education, credit and cash flow, risk management, tax overview, investment review and estate planning. We may also address other areas such as asset protection, disability, elder care, income planning, and generational risks. We encourage client communication and interaction. Whether by telephone, email, paper mail, face-to-face meetings, educational seminars or a combination thereof, clients should choose their preferred modes of contact that meet their lifestyle. In order to provide the best and most comprehensive advice, we may ask to speak to clients’ other advisors, i.e. lawyers and accountants. We ask that clients feel free to share this information. Clients should communicate freely with us on all matters. If there is a perception that an error has been made, clients should not hesitate to alert us so immediate action may be taken. All information shared with us is and remains confidential unless we are given explicit permission to share it with their advisors and/or family members. Kathy Boyle is the founder and president of Chapin Hill Advisors, Inc. Chapin Hill Advisors, Inc. offers succession planning to family owned businesses as well as consulting and planning services to high net-worth individuals, families and family offices, foundations and non-profit organizations. 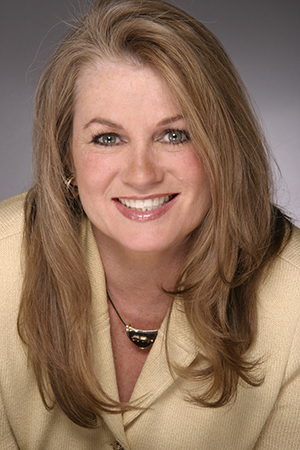 Prior to founding Chapin Hill in 2000, Kathy spent 14 years as a financial advisor with national and regional investment banking and brokerage firms. Kathy is a regular commentator and guest on national television shows such as CNBC’s Squawk Box, Fox News Your World With Cavuto, NBC’s Nightly Business News, Fox Business Network, NY1, Bloomberg Radio and personal-finance shows. Registered Representative magazine profiled Kathy for her success in building her business through networking. Kathy has also been interviewed extensively for many publications, including The Wall Street Journal, CNBC.com, Dow Jones, Crain’s New York Small Business Journal, the Chicago Tribune, The Journal of Financial Planning, Elle magazine, Financial Planning Magazine and Research Magazine. Kathy is a frequent key-note speaker on topics related to sales skills, business development, networking success in business as well as succession planning topics in addition to presentations related to planning for financial security. Kathy currently serves on the Professional Advisory Board of the New York City Chapter of the American Heart Association, the Advisory Board of Westchester Land Trust and United Way of Westchester and Putnam Gala Committee. Kathy has served on the board of the Katonah Chamber of Commerce the Pound Ridge Environmental Committee, is former board member of the Wolf Conservation Center, Financial Women’s Association of New York, and former president of NAWBO NY. Kathy is very active in her local community and regularly sponsors local non-profits at events in both Westchester and New York City. Kathy is passionate about animal rescue and educating children about healthy alternatives for better living. Jacque LeFore CFP® heads up the Chapin Hill Advisors, Inc. Financial Planning department. Jacque is a virtual member of the team as he resides in Portland, Oregon. He is President of Outsource Financial Planning. Jacque provides the expertise and knowledge as an experienced professional with over 20 years in the financial services arena. Through Outsource Financial Planning, Jacque works with a select group of financial advisors to enhance their planning practices by adding expertise on-demand. 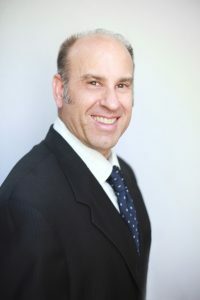 As such, he has a depth of understanding of the myriad complex issues families, business owners and high net-worth individuals face as the practices with which he works are unique and attract a variety of clients. Jacque works with Chapin Hill’s team to input client’s data into the planning software and project future scenarios. Our data collection process is very thorough and includes current and anticipated expenses. We will often execute off-line calculations especially for business owners to model future assumptions about a potential sale, buyout or succession of the business. Jacque holds the designation of Certified Financial Planner™ and also has an expertise in insurance and advanced planning. After spending over 10 years working for large insurance companies in their financial planning divisions, he launched Outsource Financial Planning in 2003. Jacque has a unique ability to evaluate, model and communicate complex financial alternatives in simple terms. He has developed a customized version of planning software to allow for greater transparency and ease of understanding complex scenarios. Jacque lives with his wife and two young daughters in Portland, Oregon. He graduated with a Bachelor of Science in Mathematics from Oregon State University in 1991.